After a hiatus of several years, I'm finally getting back into RPGs with my future sister-in-law's D&D campaign. It's going quite well, and we've been playing since mid-January with only a couple of missed game nights. She took over when I said that I didn't have time to devote to DMing, and my brother failed to actually prepare anything for the first session that he was supposed to be running. It's the first time I've had the opportunity to actually play since I was in middle school and my dad was running a 1st/2nd edition hybrid. There is one problem with me not running the game, though... I miss it. There is a creative side of me that just enjoys building plots and settings, and I also really enjoy tinkering with characters to see how powerful I can make them within the rules - which I only get to do sparingly as a player but can do every single adventure as DM. 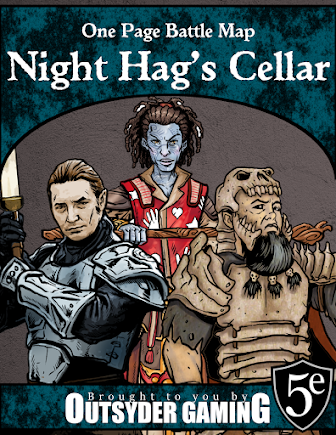 I've been enjoying the adventure Rachel has put together, but she seemed a little unsure of herself when Eric and I talked about turning the adventure into a campaign. I'm sure she's up for the challenge, but I don't want to pressure her into taking on more than she should and burning out. One thing I mentioned at the last game night was running two campaigns and just alternating weeks as DM. Distinction #1 - Run Pathfinder rather than 3.5. Although the rules are quite similar, I'm excited about switching to the "new" system (see my commentary here). 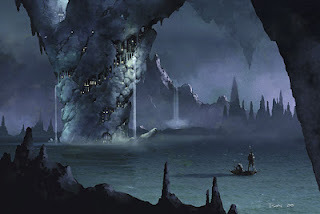 Distinction #2 - Seriously emphasize the Underdark. I've already outlined some of my ideas here. I think it might be time to put them to good use. Distinction #3 - Start out at a much lower level. With a revamped (though not really new) system, I think it will be good to run things from a low level. Granted, I'm not a fan of 1st level adventures. We've gotten in the habit of starting around 5th level... but I think 3rd level might be a good compromise.